Intravenous Hydrogen Peroxide has the ability to help challenge cancer cells in a way they can’t respond to. Intravenous hydrogen peroxide has the ability to oxidize most pathogens; increase tissue and cellular oxygen concentrations; which is involved in protein, carbohydrate, fat, vitamin and mineral metabolism, first line of defense in the immune response. How does IV H2O2 therapy work? A hydrogen peroxide IV drip is put into a vein in the arm and enters the circulatory system. The IV drips over the course of ninety minutes. The hydrogen peroxide once in the bloodstream comes in contact with catalase and cytochrome-C which are two enzymes. Catalase turns the hydrogen peroxide into water and oxygen immediately. The cytochrome-C enzyme, which binds to hydrogen peroxide, is not permitted to become water and oxygen for about forty minutes from first contact. Once cytochrome-C has been bound to it for the 40 minutes, the enzyme starts to behave just catalase and the hydrogen peroxide is broken down into water and oxygen. The combination of hydrogen peroxide and the cytochrome-C enzyme has now been carried through the entire body. When this occurs all the benefits of hydrogen peroxide are now available to every cell. The benefit to the body when having singlet oxygen spread throughout it is twofold. First, it eliminates completely or dramatically prohibits anaerobic organisms from growing. The viruses and bacteria using carbon dioxide as fuel actually leave oxygen as just a by-product. When coming in contact with anaerobic organisms, the response is immediate. Pathogens which lead to disease are anaerobic bacteria and all viruses are indeed anaerobic. Conversely, aerobic bacteria burns oxygen as fuel leaving carbon dioxide as a by-product. This is what humans do and it’s found in the intestine as friendly bacteria and is an aid in regards to digestion. These organisms do very well when coming in contact with hydrogen peroxide as it’s a natural part of the biological process. Second, hydrogen peroxide through its natural process oxidizes environmental toxins and biological waste products which creates lifeless substances. The kidneys and liver can easily discard these substances. What this does in the mitochondria is almost double the rate of metabolism with each cell! This enables the body to rid itself of poisons while having a surplus of energy to conduct the business of living every day life. This treatment is a vital part of the oxidative therapies used here at our healing center. 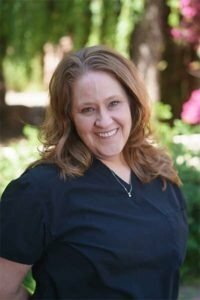 Hydrogen peroxide therapy, ozone, and UVBI are all oxidative therapies and these treatments energize the oxidative pathways. This is important because the way in which cancer is controlled and eliminated by our immune system is through oxidation. Life on earth would not exist without oxidation. The hydrogen peroxide therapy is used to naturally boost the immune system. Oxidation is utilized to eliminate bacteria, viruses, cancer, and fungus. 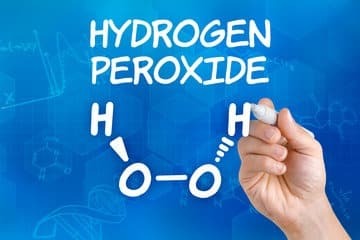 Hydrogen peroxide is used in such a way to naturally boost the ability of the body to kill off cancer cells or any other cells that are suspect.